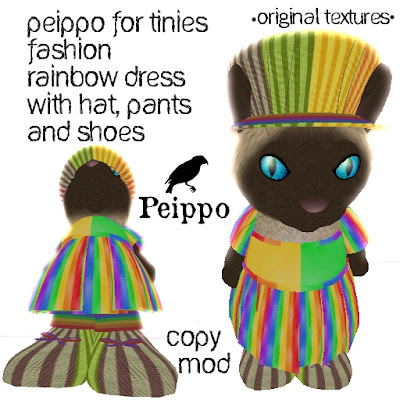 Peippo for Tinies Fashion: Rainbow dress, with hat, pants and shoes, is our new release. This outfit is available for 60l. Get it at Peippo Mainstore or look on our sidebar for the other locations.